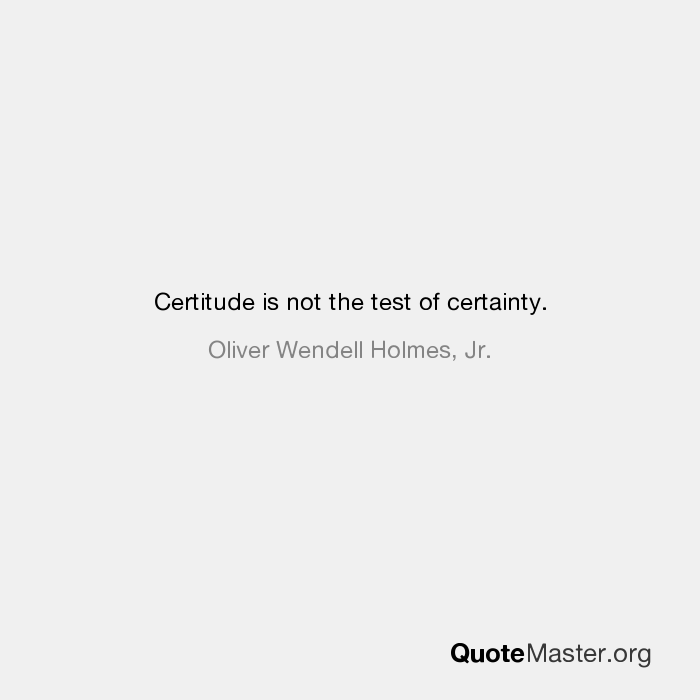 Certitude is not the test of certainty. 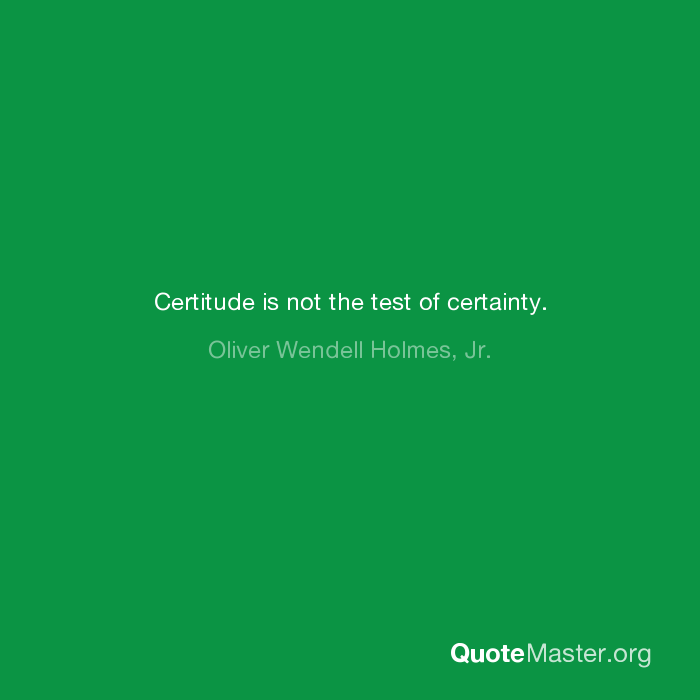 Oliver Wendell Holmes, Jr.
Certitude is not the test of certainty. - Oliver Wendell Holmes, Jr.